I was able to attend parent teacher conference last night and while talking to the kindergarten teacher I heard "I have some concerns." which no mother wants to hear. I sat and listened to her talk to me about number recognition, remembering letters, and throughout the prominent word was 'concerned'. Then we talked about behavior and the mood brightened because I had a sweet daughter, kind, and worked hard to follow the rules. I love that my daughter is sweet but why for some reason does academic struggle get erased because there is a 'good' child or a 'sweet' child. Suddenly those concerns were not a big deal anymore because she was not a behavior issue in the class. I had dejavu when I heard that phrase "We will just give it time, one day it just clicks with kids." I heard these words often when my son struggled in kindergarten! 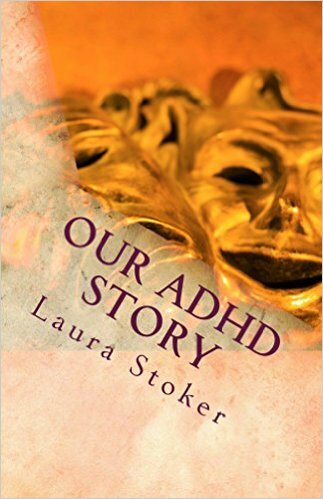 The elusive one day when a child who is struggling goes from having a hard time to no problems at all. The teacher did say that perhaps she was having a hard time hearing or seeing. 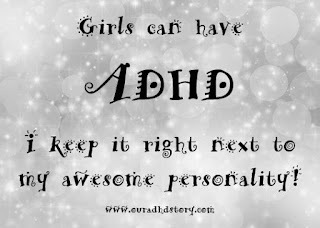 I brought up again that there is ADHD in our family. My son is diagnosed and so am I. For some reason thinking our child might have hearing problems seemed easier to think about. I explained that we have seen many signs and symptoms that we have seen in her brother as well as I can relate to her struggle myself. We have had concerns about my daughter for a couple of years now. In fact what this teacher said was not much different than what her pre-school said to me including that one day it would 'click'. Here is the problem here. For a child who has behavioral problems along with academic we feel a much greater need to help them and 'fix' the problem. My daughter is sweet so we can give it time. I had 27 years of time to not understand why I was struggling. 27 years where that moment never clicked and with each year came new challenges and struggle trying to figure out this world around me with the burning question always in the back of my mind..."What is wrong with me?" Nobody wondered why I was failing classes because I was sweet and didn't cause problems. I don't blame them really because as a parent I find myself in the same situation. 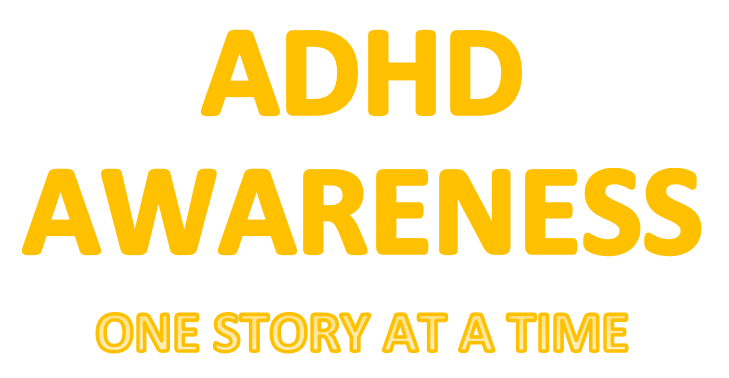 My husband and I both agree that we see a high possibility that my daughter has ADHD yet we feel hesitant to address the issue with medication. Why? 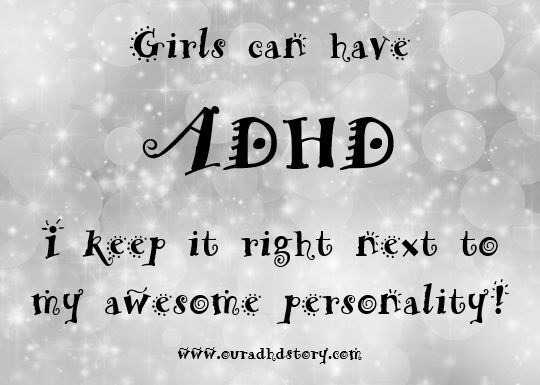 Although you are not a bad person with ADHD it is a struggle, a struggle you live with forever. I think we both want to hold onto the elusive one day too. I can't ignore the gut instincts I have as a mother anymore. I was a sweet girl but I didn't deserve to struggle in school, socially, and emotionally because of that. I could be sweet, want to listen, and want to impress my teachers all I wanted to but I needed help. We don't build houses with desire, we need the tools to do the job. So now begins my journey helping my sweet little girl. She will not have to wait as long as I did for understanding!